Advisors often underestimate their own stomach for risk significantly, by as much as 20 points (on a scale of 1 to 100), according to FinaMetrica. (Bloomberg Business) — Financial advisors say clients often overestimate their tolerance for risk. But data suggest it’s really financial advisors who become more nervous than they expected when markets become volatile. 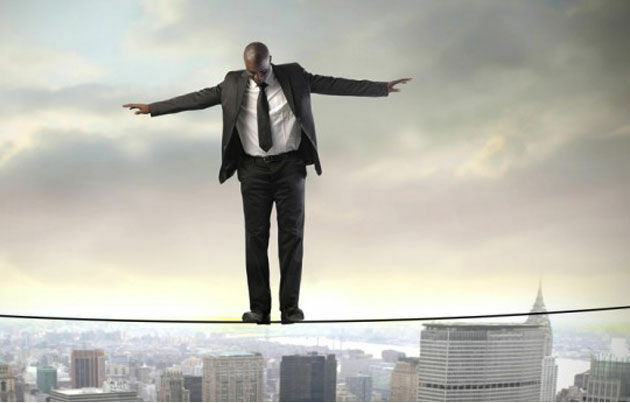 Advisors often underestimate their own stomach for risk significantly, by as much as 20 points (on a scale of 1 to 100), according to FinaMetrica, a firm that runs psychometric risk tolerance tests. The danger is that advisors can inadvertently push their perceived higher tolerance for risk onto clients when designing a portfolio, according to Tyler Nunnally, FinaMetrica’s U.S. strategist. The 800,000-plus tests FinaMetrica has analyzed show that most clients of advisors just slightly overestimate their comfort with investment risk. There is something to advisors’ belief that their client’s risk tolerance seems to change with the markets. But Nunally argues that it’s not any change in actual risk tolerance, which he says is a stable trait. “There’s a perception that the market is less risky when it’s up and more risky when it’s down,” he says. What Weil does to provide an objective reality check for clients is to simulate a decline of 50 percent in a portfolio and show a client how that would affect her ability to meet her life goals. After speaking with clients about how volatility is normal and should be expected, advisor Kevin Couper takes a similar approach to Weil’s, using a “worst-case” scenario that relives 2008 with a client’s current assets. In the long run, the ideal portfolio mix is one that clients can live with across market cycles, regardless of short- term gyrations. But there’s this little thing called emotion, which can be hard to predict and control. And a greater exposure to equities may have snuck up on some investors who don’t rebalance regularly, so their risk may be higher than they realize when market volatility hits. A first practical step investors can take is to check that their exposure to stocks hasn’t grown beyond their comfort level. And separating one’s money into different buckets can help guard against getting too stressed in the face of market volatility. Money can be tied to short-, medium- and long-term goals, with each bucket having a different risk profile, says Weil. If the market’s swinging wildly and you know your immediate needs are covered in a short-term, conservatively invested bucket, you may feel more comfortable sticking with any higher-risk, higher-return investments in the long-term basket. Another way to stop emotions from influencing your investing, as long as you have a smart long-term financial plan in place? Just take a vacation from checking your portfolio. That’ll help keep you focused on the long run—and maybe let you enjoy taking an actual break.